I have both the Suntech Kurenai HM30R and HM33R. These are fantastic rods that cast so smooth. I love the way the rod loads transmitting such a great feel. I can't add much to the review that has not been said before. Bottom line: buy these rods and you will not be disappointed!! I have both rods also. They are amazingly light, sensitive but strong. I easily landed a 3lb bass on the HM30R. Not only are these rods amazing in their ease of casting, they are SUPER SENSITIVE. On a recent trip, I was casting out a very small San Juan worm and simply letting it sink. Not only could I see the take by the movement of the main line, I could actually FEEL the taps of a fish hitting the fly. If you've ever wondered if a rod for catching small fish is worth $180, I can tell you that my Kurenai 30R certainly is! 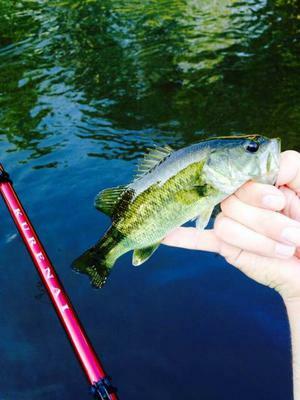 I took my nephew fishing and let him use one of my other rods, a 360 cm Tenkara rod that weighs 2 1/2 ounces and it was rigged with a lightweight, furled line. It was a setup that has caught me many fish since owning it. I was using my new HM33R. After a while I was trying to show him some different ways to cast the furled line and made a few casts with the heavier rod. I immediately noticed the weight difference! 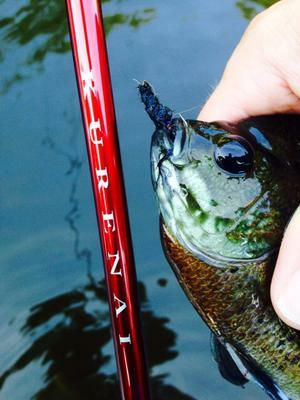 I'm going to have a hard time switching back and forth between the Kurenai and my other rods. The Kurenai has spoiled me for sure.